We received an overwhelmingly positive response to our exchange with the compromising chaplain, Rodney M. (see part 1 and part 2). But Robert S. from Australia criticized our responses. His message is printed in its entirety followed by a response by Gary Bates and Lita Cosner. I agree with the Chaplain. 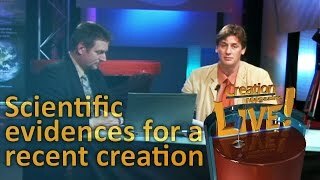 Creationists are unnecessarily destabilizing the faith of young Christians, unjustifiably attacking Science and the many Christian Scientists who think differently from them, making the Gospel, the Christian Faith and the Church a laughing stock in schools and universities and alienating students genuinely interested in the Christian Faith. I thank the Chaplain for his courage and I condemn your unchristian maligning of his beliefs. With all due respect, we don’t see how you could hold that view after reading the overwhelmingly supportive comments by Christians that have been published below both responses to Rev. M,. At the time of writing, yours is the only negative response. All of the aforementioned respondents were saying that they were excited when they found out that the Bible can actually be trusted from the first verse. Although you claim our view is a stumbling block, this seems to be a self-borne perception that is not grounded with much experience if the testimonies are anything to go by. Many commented how creation teaching actually opened their eyes to the truth of the Gospel and led to them becoming Christians. People reject Christ for all sorts of reasons and excuse, and the majority of times it is based upon ignorance about what the Bible actually says or the true nature of God due to man’s sinful heart condition and his desire to reject God. If you relied upon the experience of some who said they rejected the Gospel because of a biblical ‘young-Earth’ stance, it does not invalidate the truth of Genesis or make it less trustworthy. People reject Christ for all sorts of reasons and excuse, and the majority of times it is based upon ignorance about what the Bible actually says or the true nature of God due to man’s sinful heart condition and his desire to reject God. We’re sure you’ve had conversations with people who raise straw man arguments against God, or who make claims about Christianity that are plainly not true as a reason for not believing. The Gospel you are concerned about us making a laughing stock of is built on a creation foundation. It is impossible to understand what Jesus did for us accurately without understanding what got us in the situation where we needed a Savior to begin with. In short, despite all the real historical information that is out there to support the resurrection, Jesus warned us “ … If they do not listen to Moses and the Prophets, they will not be convinced even if someone rises from the dead” (Luke 16:31). By the way, when Jesus was referring to Moses, He was referring collectively to the first five books he is credited with writing, and that includes Genesis, which Jesus accepted as authoritative. Similarly to the other comments at the bottom of the article you mentioned, both of the authors of this response can testify that they could not believe what God’s Word said about Jesus before they accepted what it said about creation (“If I have told you earthly things and you do not believe, how can you believe if I tell you heavenly things?” John 3:12). For example, see creation.com/lita for Lita’s testimony. The Gospel you are concerned about us making a laughing stock of is built on a creation foundation. It is impossible to understand what Jesus did for us accurately without understanding what got us in the situation where we needed a Savior to begin with. And when Paul describes our relationship with Jesus, twice (Romans 5:12-21 and 1 Corinthians 15) he goes back to our relationship with Adam as a contrast—and he sees Adam as a historical figure whose actions affected the human race every bit as much as Jesus was a historical figure whose actions affected us. This is not up for debate; the only question is whether you think he was right or he was wrong. 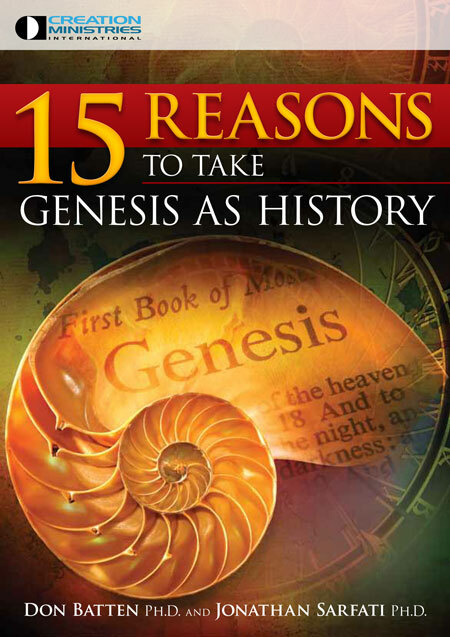 If Genesis is not real literal history. With a literal Adam and Eve. And if sin and death did not literally enter the world through their actions. Then we don’t literally need to be saved from anything. And Jesus’ sacrifice is meaningless. Please see how the New Testament authors overwhelmingly endorsed Genesis as real literal history. Please take the time to read The Use of Genesis in the New Testament. Were they wrong too? There are ‘Christian’ organizations who believe that God used evolution, like Biologos, for example. Although they call themselves Christian they obviously faced this dilemma of Jesus and the New Testament authors believing in a literal Genesis. Their answer is to suggest that when it came to science then Jesus and His collaborators were wrong. 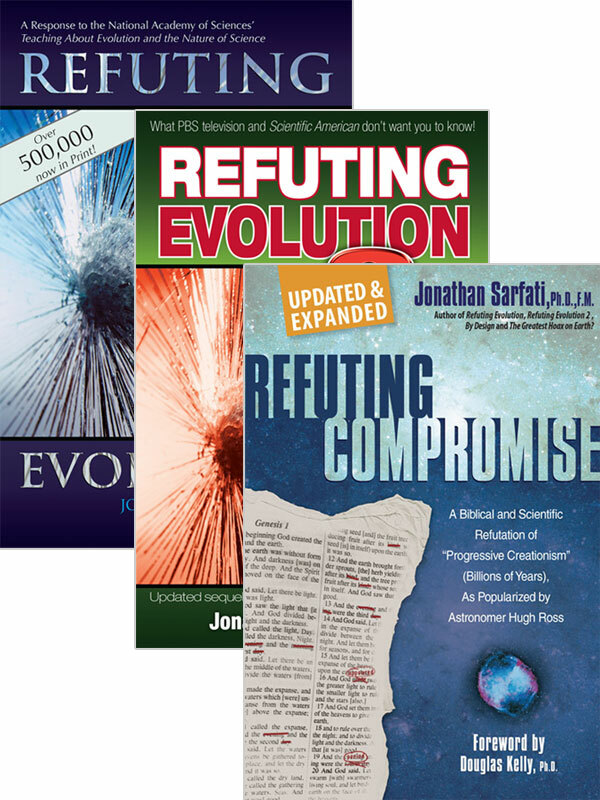 So now believing in evolution and adding it to the Bible has not only undermined Genesis and the Old Testament, but the New Testament is discredited too because we can’t trust what those authors say either. While we don’t agree with Biologos’ view, we think they are being consistent, unfortunately, because secular science is their ultimate authority and not the Scriptures. That’s ironic though, because everything we know about the Christian faith actually comes from the Bible. As for being a laughing stock in schools and universities, the Bible is clear that if we present the Gospel faithfully, some will accept it with joy and some will reject it with derision and disgust. If we do not see this response, then there is a good chance that we are not really presenting the Gospel. And as for ‘students interested in the Christian faith’, I think such a lukewarm inclination is hardly worthy of recognition. It would be like a cancer sufferer ‘interested in chemotherapy’ or a snake bite victim ‘interested in antivenin’. We are all dying, we all are in desperate need of the same cure, and it does not help anyone to water down the Gospel. If you are willing to slack on creation because believing the Bible’s history is a stumbling block to some, what would you do in a culture where the Cross is very offensive? By acquiescing to a secular view of science (such a view is trying to explain the world without God, so why would we hold strongly to its interpretations of science anyway? ), the very Gospel of Christ becomes diluted to the extent that the truth is lost along the way. It’s almost a form of appeasement or conforming to the world’s view, thinking that such a ‘reasonable’ approach might encourage more to believe. And frankly, appeasement rarely convinces anyone as to the validity of your position. As, we’ve said, our many years of experience (and once again please note the testimonies at the bottom) says that the truth matters. After all Jesus’ own words said, “Then you will know the truth, and the truth will set you free” (John 8:32). I say this not to suggest that you would downplay the Cross, but to encourage you to think about where your logic naturally leads. Simply, most people consider the Bible to be one book. So, it’s quite logical to ask from their perspective that if the first part of it (Genesis) does not mean what it says, then where does the truth begin? N.T. Wright. Surprised By Hope: Rethinking Heaven, the Resurrection, and the Mission of the Church, HarperOne, New York, pp. 64–65, 2008. Return to text.